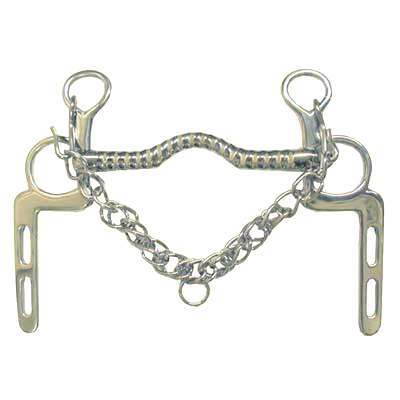 While our main focus at Horse Tack Now is top quality Driving Bit we proudly offer other quality horse tack items including Military Elbow Driving Bits. The Bit is made of pure solid stainless steel which lasts a lifetime. This item also measures 5 1/2" in size. Only the best Driving Bits are available at Horse Tack Now. Rest Assured you will receive a top quality item delivered straight to your door.